– in a word, you can get Tokens simply through use the Internet products in the near future! 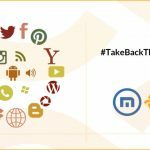 Developed and operated by Maxthon Browser’s core team, a worldwide popular browser that has hundreds of millions of users around the globe. 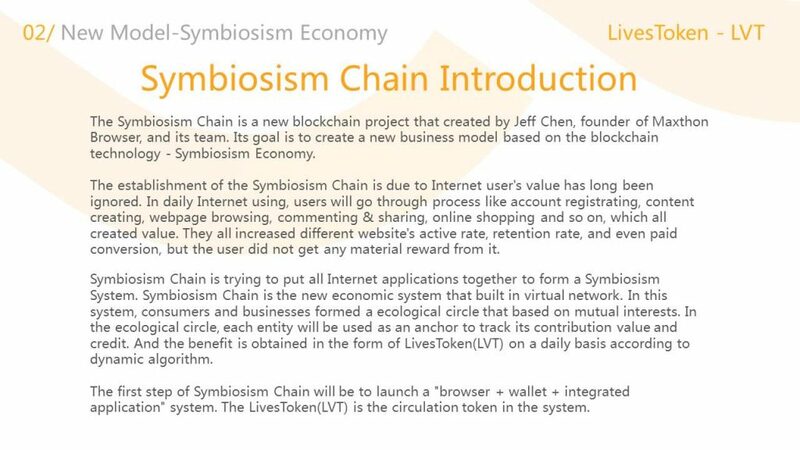 In response to the national regulatory policy in China, the Symbiosism Chain & LivesToken(LVT) project will no longer be carried out ICO, and the follow-up development funds will be provided by the major investor Maxthon Browser. 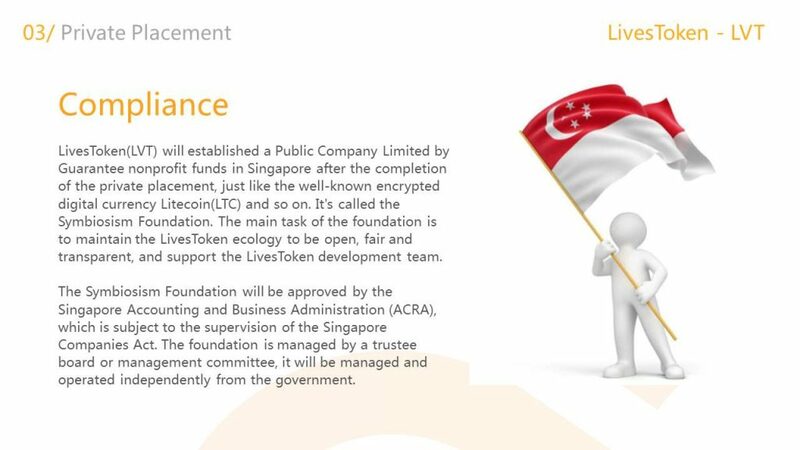 But as we have promised before in the thread here in Bitcointalk.org(https://bitcointalk.org/index.php?topic=2140417.20), we are now initiating the private placement of LivesToken. Only a small proportion of the tokens will be sold during the private placement process. 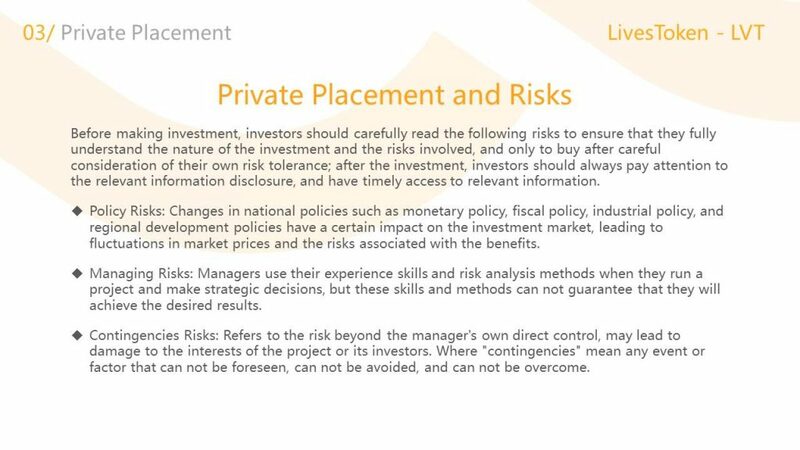 The private placement threshold is no less than 20ETH, and should also be not more than 500ETH. Feel free to invite your friends and families to join the private placement. Also don’t forget to join our official Telegram group (https://t.me/livestokenlvt) to learn more about the project and discuss with other investors! 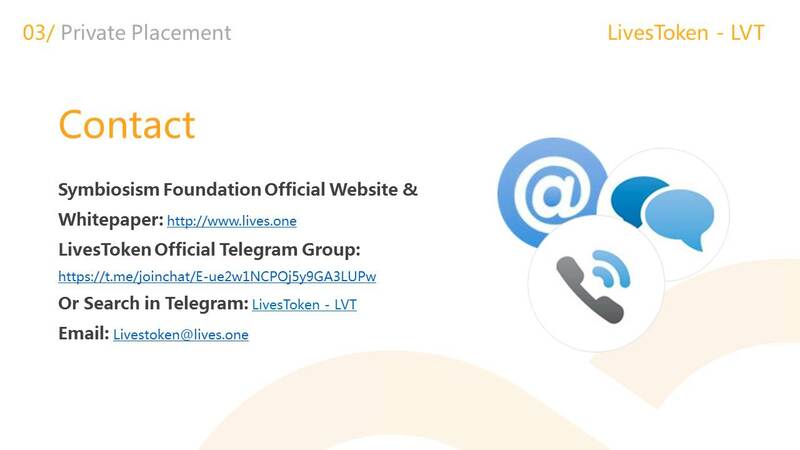 Or search “LivesToken — LVT” on Telegram directly. 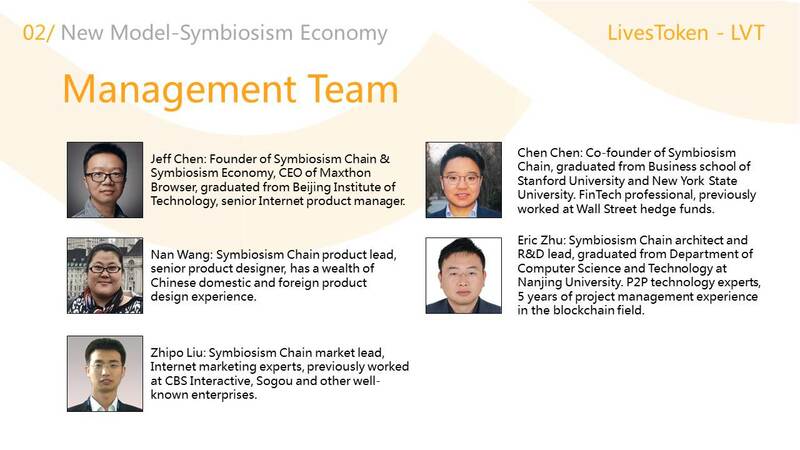 The Symbiosism Chain is a new blockchain project that created by Jeff Chen, founder of Maxthon Browser, and its team. Its goal is to create a new business model based on the blockchain technology — Symbiosism Economy. 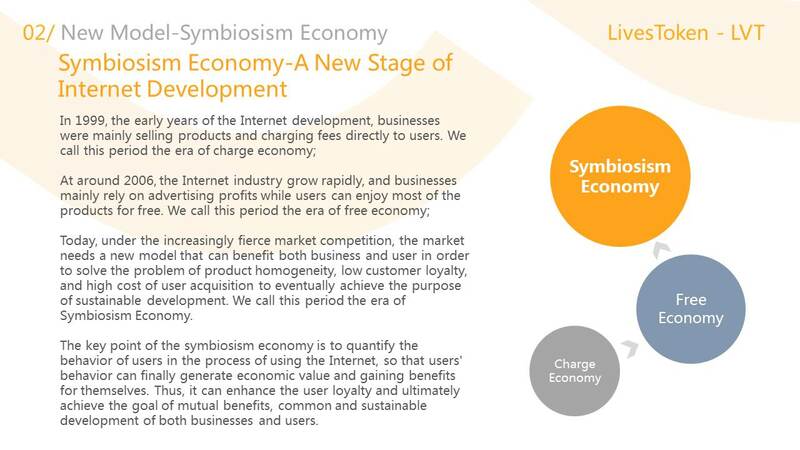 The establishment of the Symbiosism Chain is due to Internet user’s value has long been ignored. 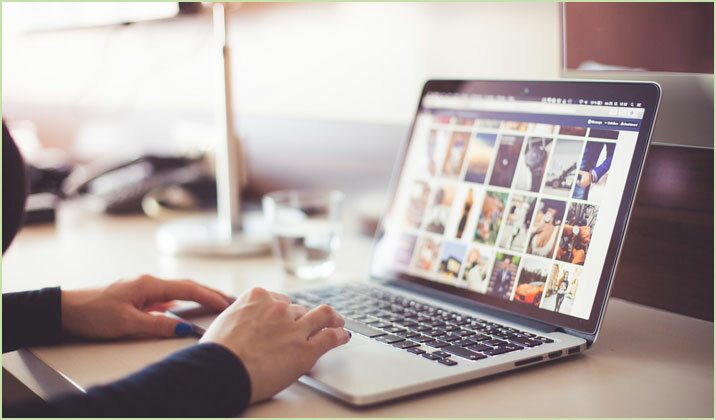 In daily Internet using, users will go through process like account registrating, content creating, webpage browsing, commenting & sharing, online shopping and so on, which all created value. They all increased different website’s active rate, retention rate, and even paid conversion, but the user did not get any material reward from it. 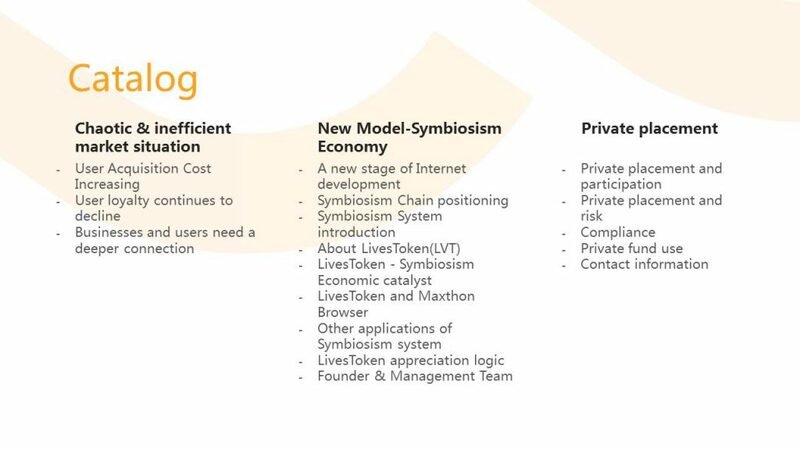 Symbiosism Chain is trying to put all Internet applications together to form a Symbiosism System. 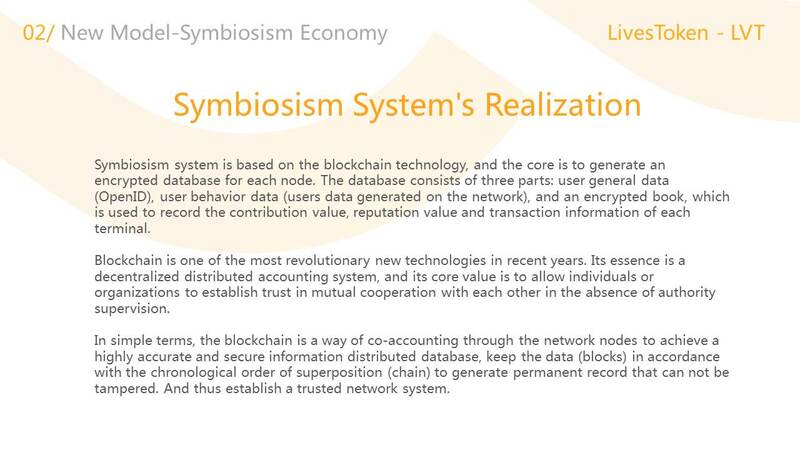 Symbiosism Chain is the new economic system that built in virtual network. In this system, consumers and businesses formed a ecological circle that based on mutual interests. 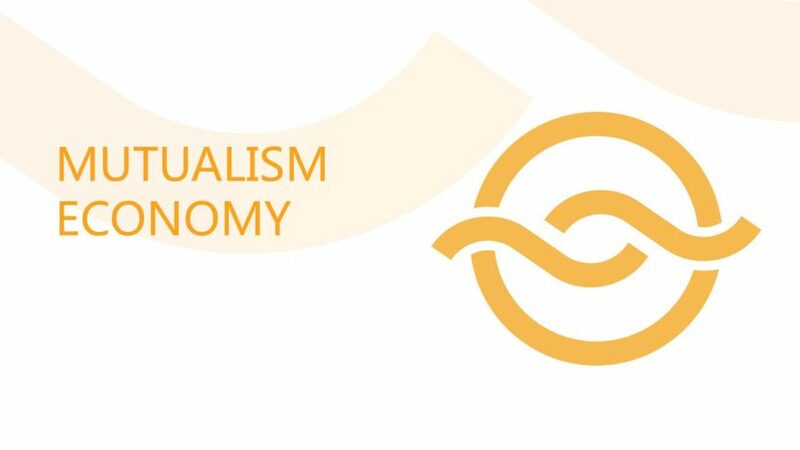 In the ecological circle, each entity will be used as an anchor to track its contribution value and credit. And the benefit is obtained in the form of LivesToken(LVT) on a daily basis according to dynamic algorithm. 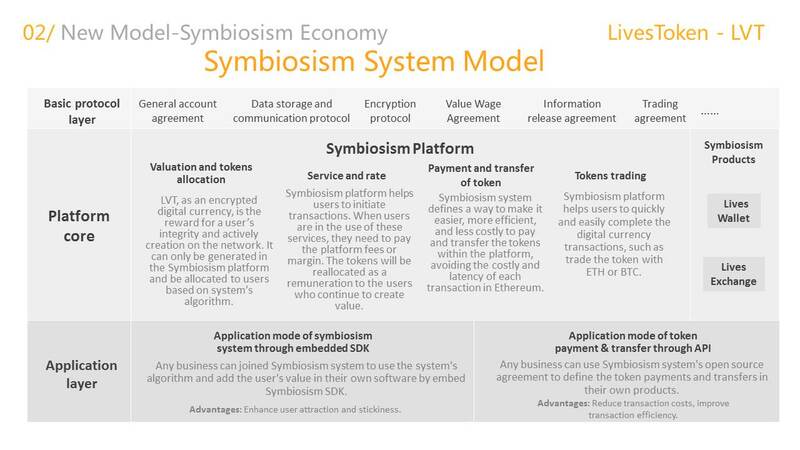 The first step of Symbiosism Chain will be to launch a “browser + wallet + integrated application” system. 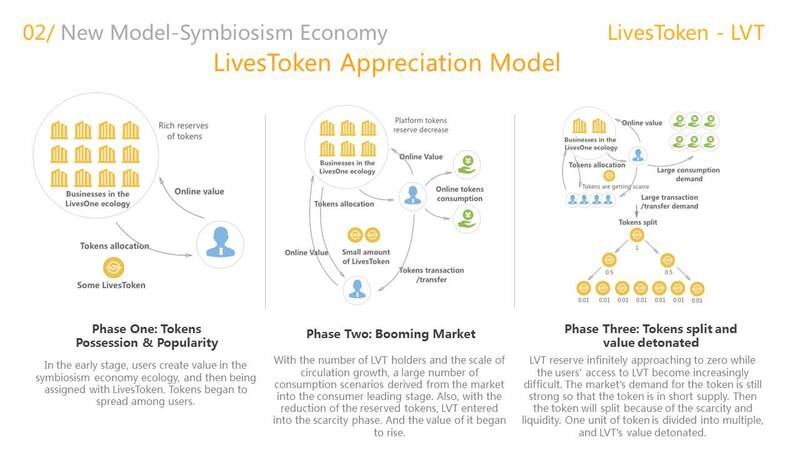 The LivesToken(LVT) is the circulation token in the system. 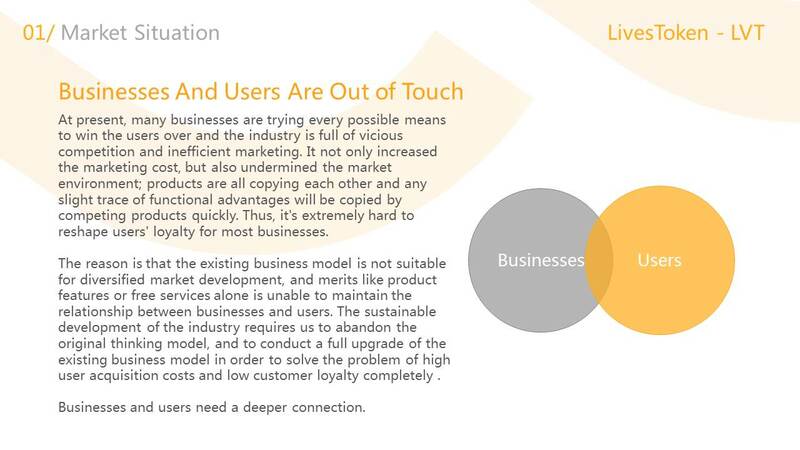 Today, under the increasingly fierce market competition, the market needs a new model that can benefit both business and user in order to solve the problem of product homogeneity, low customer loyalty, and high cost of user acquisition to eventually achieve the purpose of sustainable development. 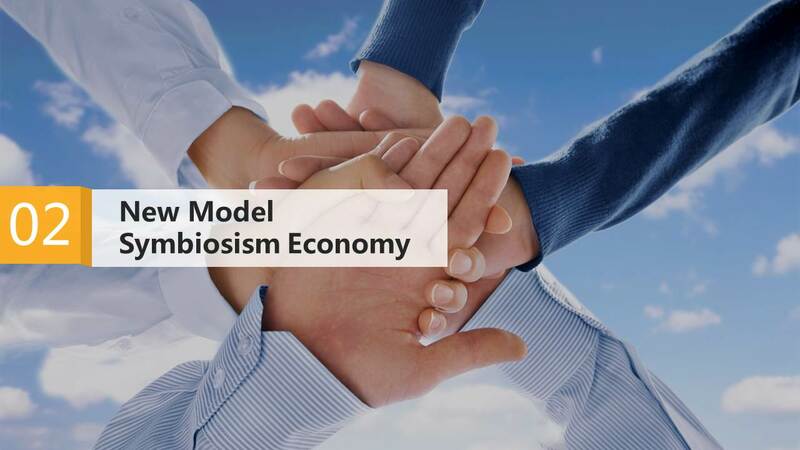 We call this period the era of Symbiosism Economy. 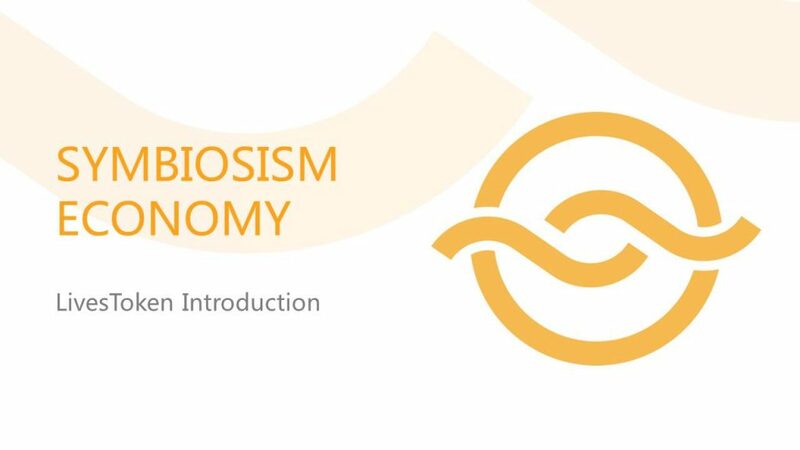 The key point of the Symbiosism Economy is to quantify the behavior of users in the process of using the Internet, so that users’ behavior can finally generate economic value and gaining benefits for themselves. 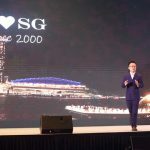 Thus, it can enhance the user loyalty and ultimately achieve the goal of mutual benefits, common and sustainable development of both businesses and users. LivesToken (LVT) allows users behaviors and the surfing time on Internet to produce real economic value. 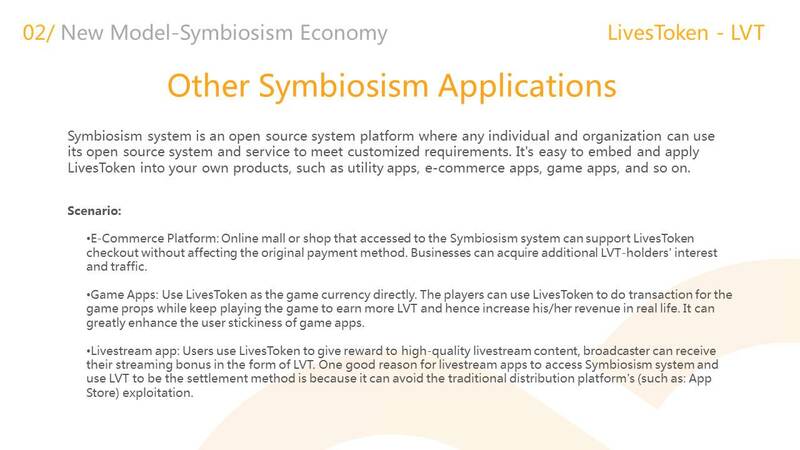 Businesses can enhance user activity by disseminating LivesToken, users can obtain LivesToken through the use of products. Users who possessed LivesToken can use it in the Symbiosism system for consumption. 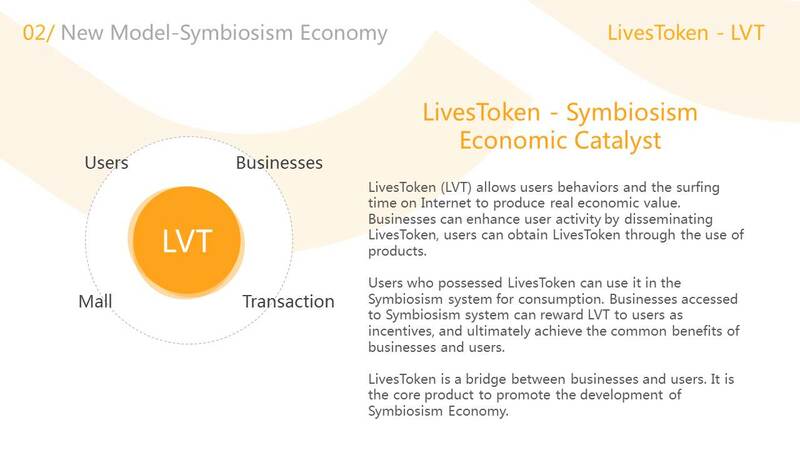 Businesses accessed to Symbiosism system can reward LVT to users as incentives, and ultimately achieve the common benefits of businesses and users. 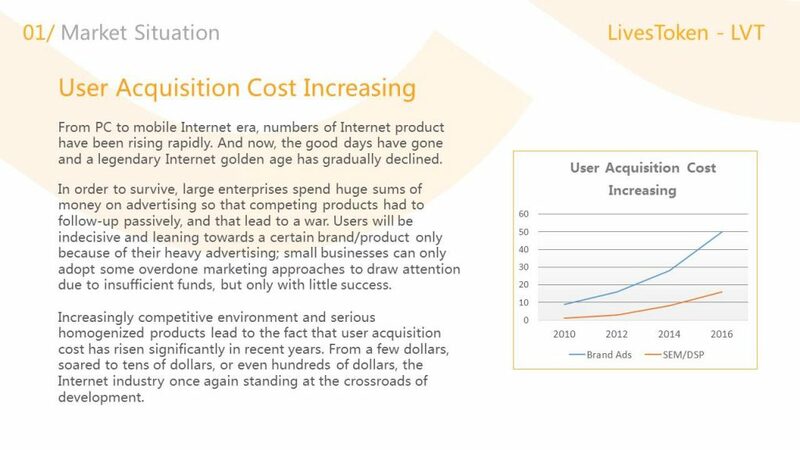 LivesToken is a bridge between businesses and users. 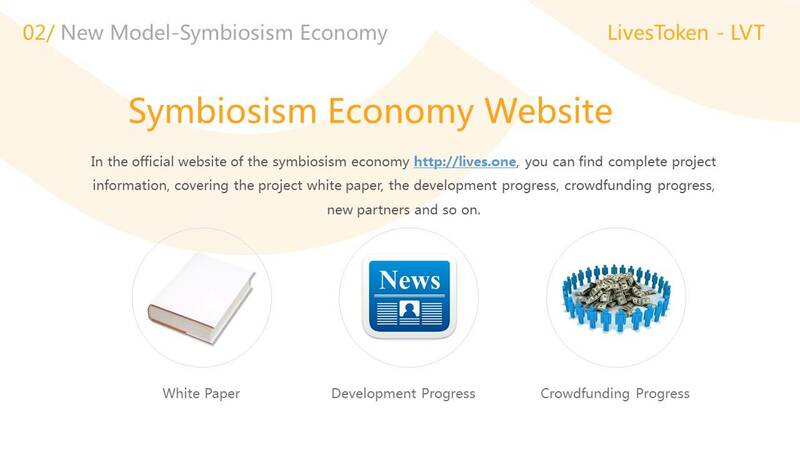 It is the core product to promote the development of Symbiosism Economy. Symbiosism system is based on the blockchain technology, and the core is to generate an encrypted database for each node. 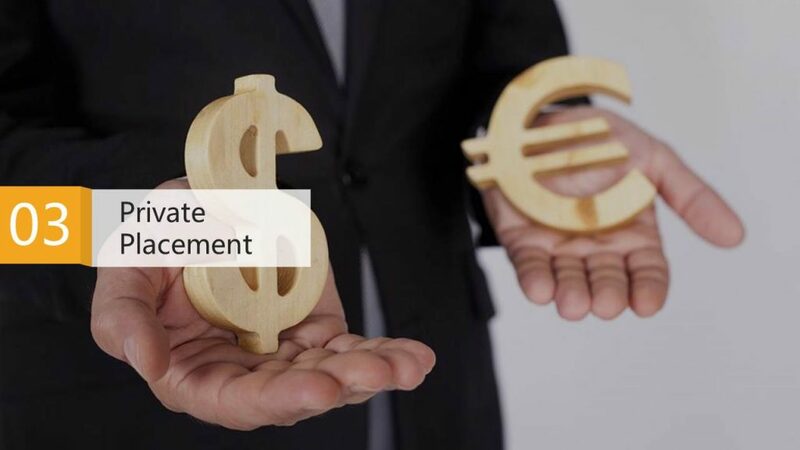 The database consists of three parts: user general data (OpenID), user behavior data (users data generated on the network), and an encrypted book, which is used to record the contribution value, reputation value and transaction information of each terminal. 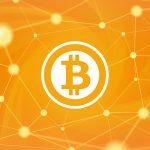 Blockchain is one of the most revolutionary new technologies in recent years. 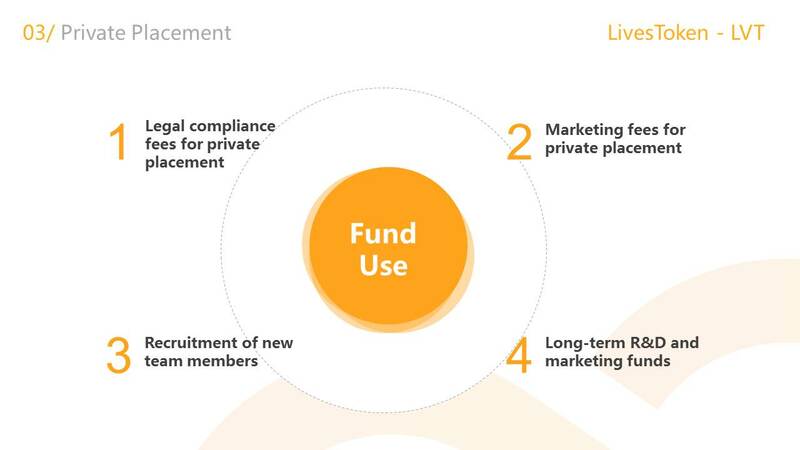 Its essence is a decentralized distributed accounting system, and its core value is to allow individuals or organizations to establish trust in mutual cooperation with each other in the absence of authority supervision. In simple terms, the blockchain is a way of co-accounting through the network nodes to achieve a highly accurate and secure information distributed database, keep the data (blocks) in accordance with the chronological order of superposition (chain) to generate permanent record that can not be tampered. And thus establish a trusted network system. Maxthon Browser is a internetional product that has a hundred-million level user scale. Its users covers 242 countries around the globe. 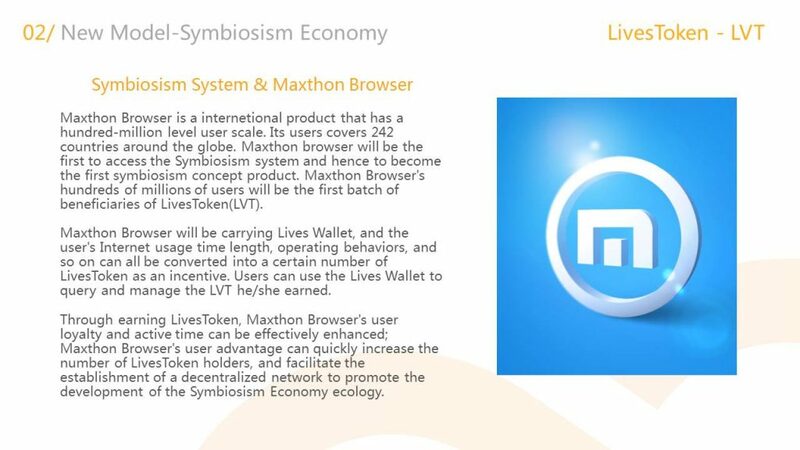 Maxthon browser will be the first to access the Symbiosism system and hence to become the first symbiosism concept product. 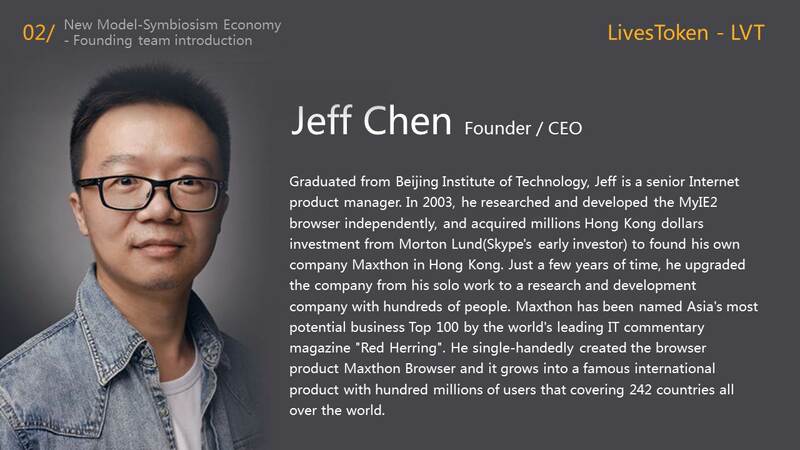 Maxthon Browser’s hundreds of millions of users will be the first batch of beneficiaries of LivesToken(LVT). 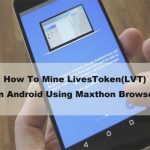 Maxthon Browser will be carrying Lives Wallet, and the user’s Internet usage time length, operating behaviors, and so on can all be converted into a certain number of LivesToken as an incentive. Users can use the Lives Wallet to query and manage the LVT he/she earned. Through earning LivesToken, Maxthon Browser’s user loyalty and active time can be effectively enhanced; Maxthon Browser’s user advantage can quickly increase the number of LivesToken holders, and facilitate the establishment of a decentralized network to promote the development of the Symbiosism Economy ecology. 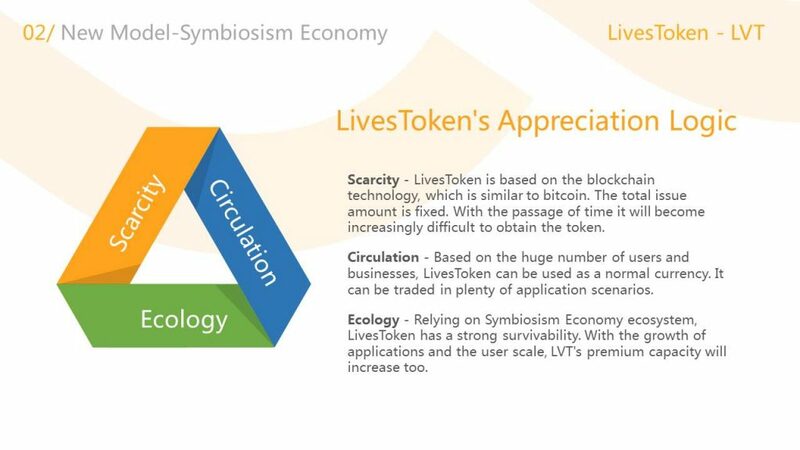 Scarcity — LivesToken is based on the blockchain technology, which is similar to bitcoin. The total issue amount is fixed. With the passage of time it will become increasingly difficult to obtain the token. 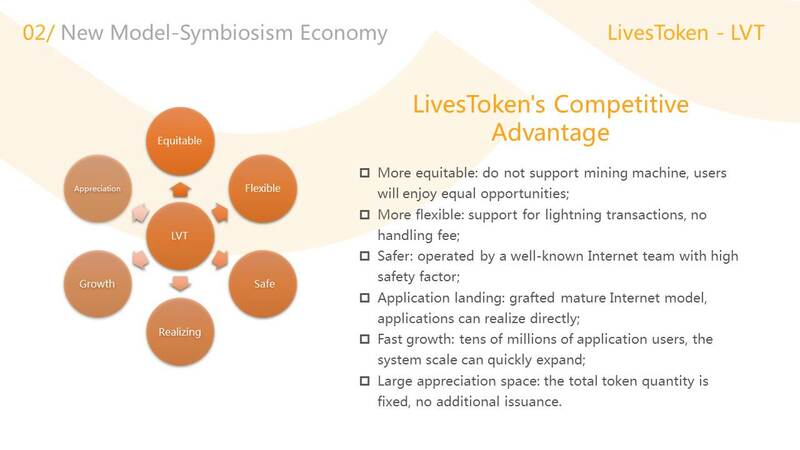 Circulation — Based on the huge number of users and businesses, LivesToken can be used as a normal currency. It can be traded in plenty of application scenarios. 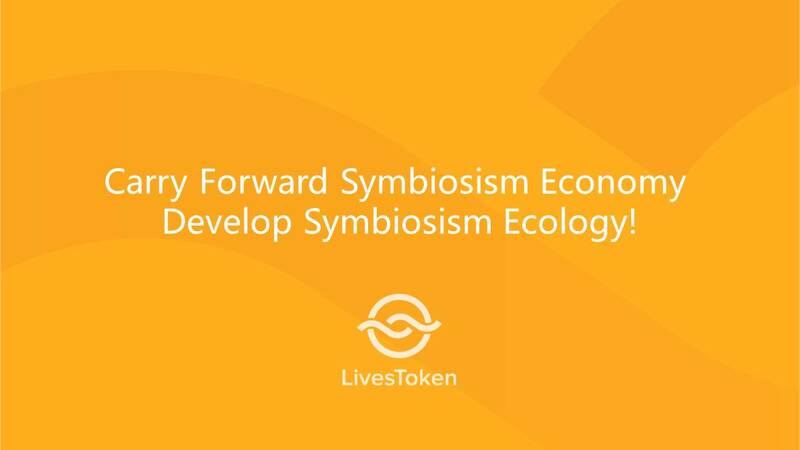 Ecology — Relying on Symbiosism Economy ecosystem, LivesToken has a strong survivability. With the growth of applications and the user scale, LVT’s premium capacity will increase too. 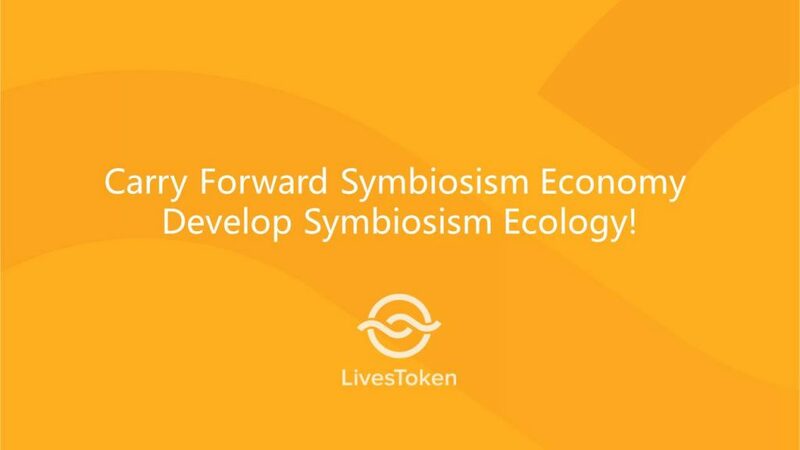 In the early stage, users create value in the symbiosism economy ecology, and then being assigned with LivesToken. 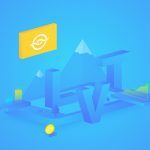 Tokens began to spread among users. With the number of LVT holders and the scale of circulation growth, a large number of consumption scenarios derived from the market into the consumer leading stage. 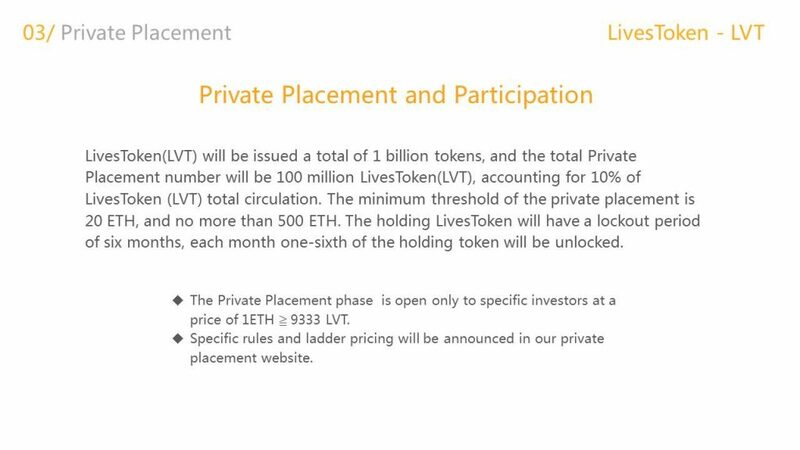 Also, with the reduction of the reserved tokens, LVT entered into the scarcity phase. And the value of it began to rise. 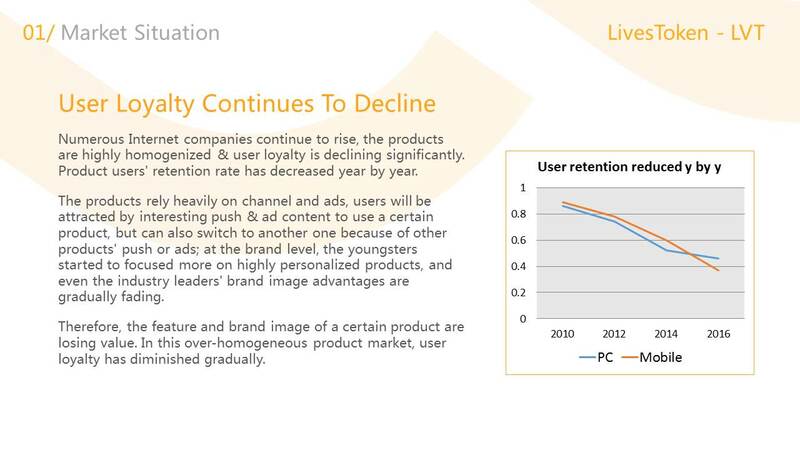 LVT reserve infinitely approaching to zero while the users’ access to LVT become increasingly difficult. 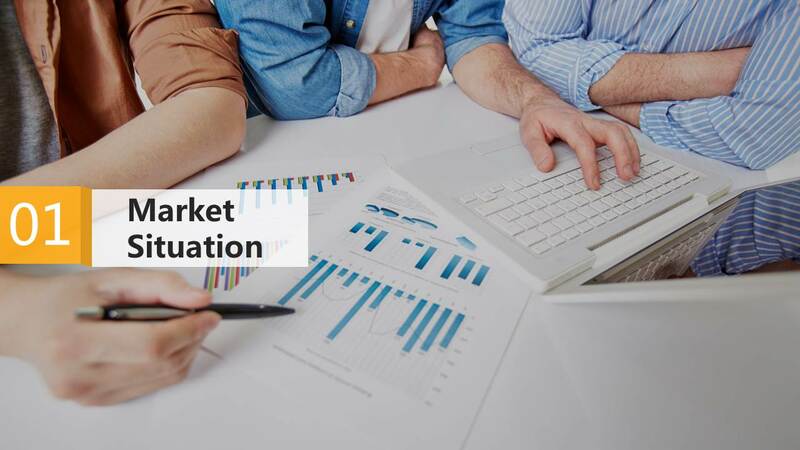 The market’s demand for the token is still strong so that the token is in short supply. Then the token will split because of the scarcity and liquidity. 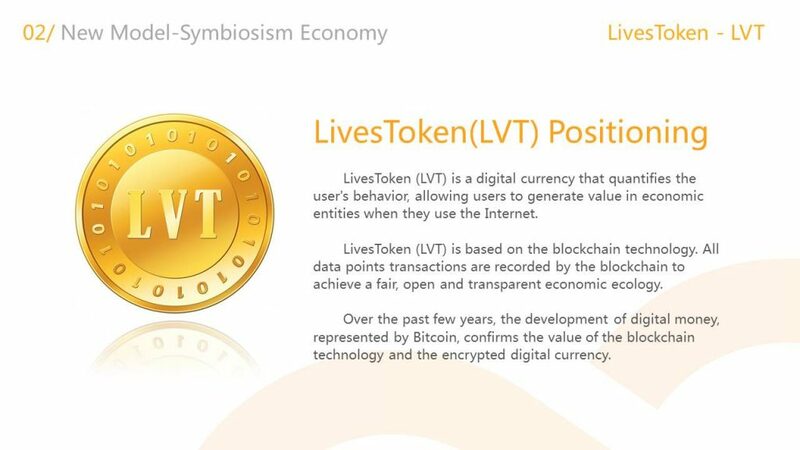 One unit of token is divided into multiple, and LVT’s value detonated. LivesToken(LVT) will be issued a total of 1 billion tokens, and the ICO total issue number will be 350 million LivesToken(LVT), accounting for 35% of LivesToken (LVT) total circulation. The entire process will be divided into two phases, the private placement(Pre-ICO) phase, and the ICO phase, where about 10% is assigned to the Pre-ICO phase and about 25% assigned to the ICO phase. The minimum threshold of the private placement is 20 ETH, and no more than 500 ETH. The holding LivesToken will have a lockout period of six months, each month one-sixth of the holding token will be unlocked. **Specific rules and ladder pricing will be announced in our private placement website, please stay tuned(will update here at bitcointalk.org as well). It is really great and quite helpful too. wow what a great post is this… thanks for sharing boss, keep share these valuable content. Nice Article Good luck . Awesome post! I Really appreciate you sharing your experience. this site gived such a amazing information Great. i convince my friends to visit this site.